Galloway Training Programs…a Life Change. I know what some of you are thinking…a shameless plug. Here it comes. If you don’t know what I’m referring to, you haven’t heard the news. See that badge over on the right? I’ve recently started a Galloway Training Program in Columbus, OH. 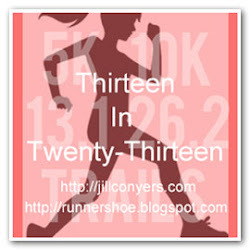 It’s an exciting venture, and I’m very happy to help a great group of runners to their goal of a spring half marathon. Starting in the fall, we’ll be adding full marathon training too. But, if you know anything about me, and most of you don’t, I’m not one for shameless plugs. If you want to find out more about the group, click on the badge and visit the site. New events will be posted on Sunday. I’d much rather tell you how Jeff Galloway changed my life. And he did it without ever meeting me in person. Growing up, I hated running. My mom ran for as far back as I can remember, and I thought she was crazy. The only way I was running was if someone was chasing me…and they better have a weapon. I never ran in high school or college. I didn’t even like sweating all that much. I joined the Army in 2001, shortly after the events of September 11th left me with the desire to give something back. Although I was, and still am, proud of my decision, there was a drawback. Luckily, as a 23yo female, the standard wasn’t very high. Whew. Made it. But that was just the beginning. We ran. Every. Single. Day. Most of the time carrying a ridiculous amount of gear. Realize running in the Army is nothing like running for the average person. Formation running is dreadful. Especially when you are 5’4″, the guy leading the formation is 6’6″ with legs up to your neck, and you are expected to run with him stride-for-stride. Yeah. You want to talk about over striding and what that can do to your body over time? I’ll tell you. I broke both legs…running. Bilateral tibia fractures. That’s a party. I had modified training the rest of my time in the Army. They said I’d never run normally again…that I’d have to start over, and it might never “feel comfortable, ” Whatever that means. So I decided to give up running. Forever. I had three kids. I hadn’t worked out in forever. I’ll say it: I was fat and lazy. I was depressed. I felt horrible about myself, without any motivation to change. That was until, for some crazy reason, I signed up for a local 5k race. I ran a few times. Maybe 3. I mean, how hard could it be? I toughed it out, but I quickly remembered why I hated running. It was 3 miles of hell. I recall wondering if this was “comfortable” for some people. who would do this for enjoyment? Then I saw my kids near the last turn. They looked so excited to see me. And that’s when I knew I would never give up running again. But there had to be a better way. And I wasn’t looking for easy. That’s when I found Jeff Galloway’s book. I studied for hours. I listened to podcasts. I read his website and newsletters religiously. I was hooked. This could work. But I did it mostly alone. I ran and took walk breaks with others, but it wasn’t like I knew it could be. The closest training program, the only one in Ohio, was in Cincinnati. That’s a little far for a Saturday morning run. So I made my own. Since that 5K, I’ve been running consistently. I’ve completed countless races including 2 overnight relays, 6 half marathons, 3 marathons and 2 ultra marathons. I’ve done all of them using Jeff’s methods, and I get faster every time. Running has become something I love. What I live for. Both my escape from the problems of life, and my way to work through them. I’d rather be running than almost anything. I’m the crazy person I always thought my mother was. This entry was posted in Life and tagged Army, Galloway. Bookmark the permalink. This is a great post! Its awesome to learn a little more about you and what drives you especially as we embark on Goofy next weekend! Great job!